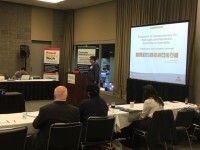 Last week’s Pittcon, the world’s leading conference and expo for laboratory science, brought together thousands of laboratory equipment companies, scientists and laboratory professionals in Atlanta. This year’s meeting made history, as it featured Pittcon’s first cannabis conference. 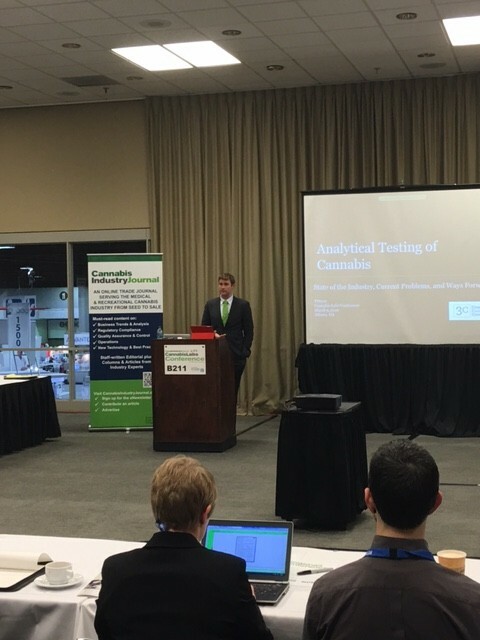 Generating quite a bit of buzz at the show in Atlanta, the inaugural Cannabis Labs Conference brought Pittcon attendees, cannabis industry leaders and scientists together to discuss the changing landscape of cannabis testing, the need for standards and cannabis laboratory methods. The improvement of quality standards, outside industry expertise and noting the industry still has a long way to go were some of the themes that came out of the talks. 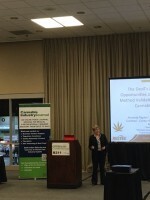 Nic Easley, CEO of Comprehensive Cannabis Consulting, delivered the keynote presentation. Other highlights included the sharing of new validation methods. Scott Radcliffe, technical support scientist at Romer Labs, Inc., presented his findings on the validation of immunoassays for the detection of pathogens and mycotoxins in cannabis. Amanda Rigdon, applications chemist at Restek, Inc., also led a discussion on the opportunities and challenges for method validation in the evolving cannabis industry. Scott Radcliffe, technical support scientist at Romer Labs, discussing the validation of immunoassays for the detection of pathogens in cannabis. “We need to show proficiency with a standardized method and that comes through full validation which, requires a lot of money, time and work,” Rigdon added. These components of validation include accuracy, precision, recovery, selectivity, specificity and proper instrument calibration. “The bottom line is labs need a method that is reproducible and robust,” she said. Rigdon also shared her data from recent methods validation at a cannabis laboratory in Spokane, Washington. Next year’s Cannabis Labs Conference is scheduled to take place in Chicago during the week of March 5, 2017. To hear more about the Cannabis Labs Conference, sign up for the CannabisIndustryJournal newsletter.